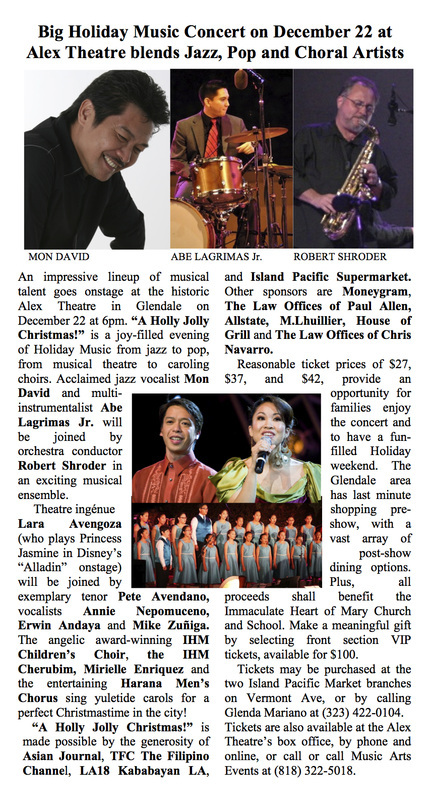 Los Angeles' most widely distributed Filipino-America newspaper ran our ads and press releases from Oct 31-Dec 22, 2012, both in print and online. Balita Media Inc. spearhead publication ran our press releases from Nov 26- Dec 22, 2012, both in print and online. Our friends at LA18.tv listed "A Holly Jolly Christmas!" in their official calendar. Click the photo to see the calendar entry.